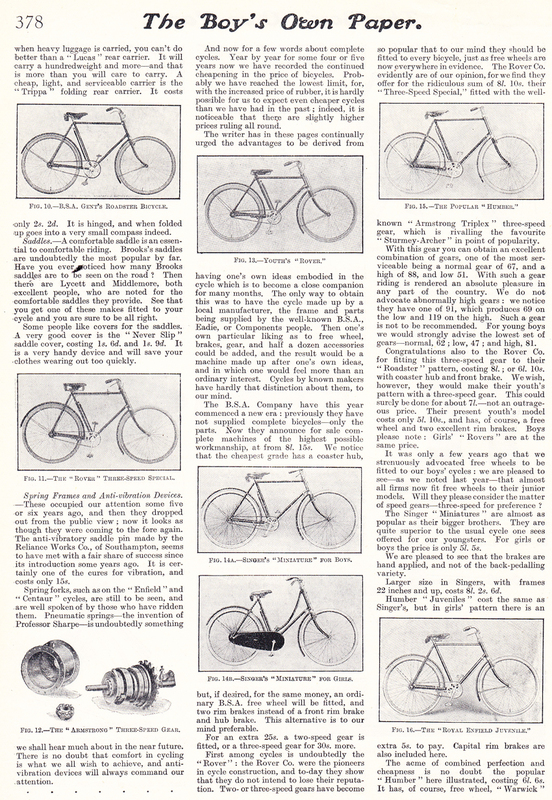 The BSA Company have this year commenced a new era: previously they have not supplied complete bicycles – only the parts. 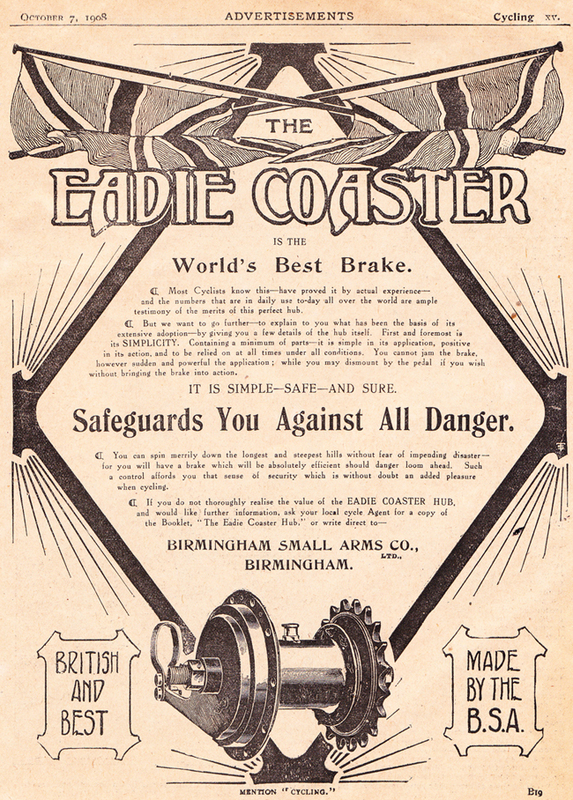 Now they announce for sale complete machines of the highest possible workmanship, from £8 15s. 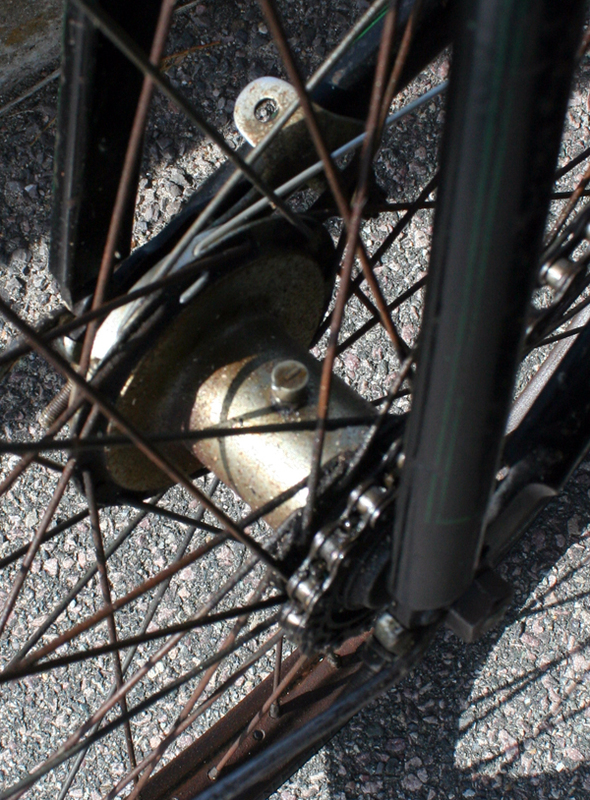 We notice that the cheapest grade has a coaster hub, but, if desired, for the same money, an ordinary BSA free wheel will be fitted, and two rim brakes instead of a front rim brake and hub brake. This alternative is to our mind preferable. 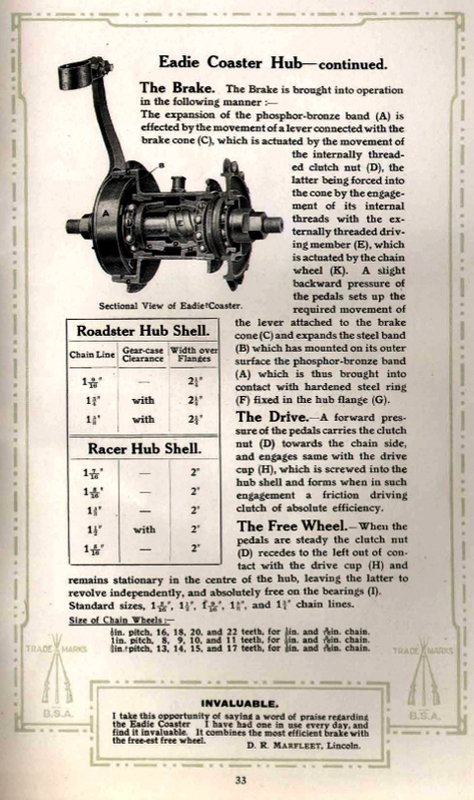 For an extra 25s, a two-speed gear is fitted, or a three-speed gear for 30s more. 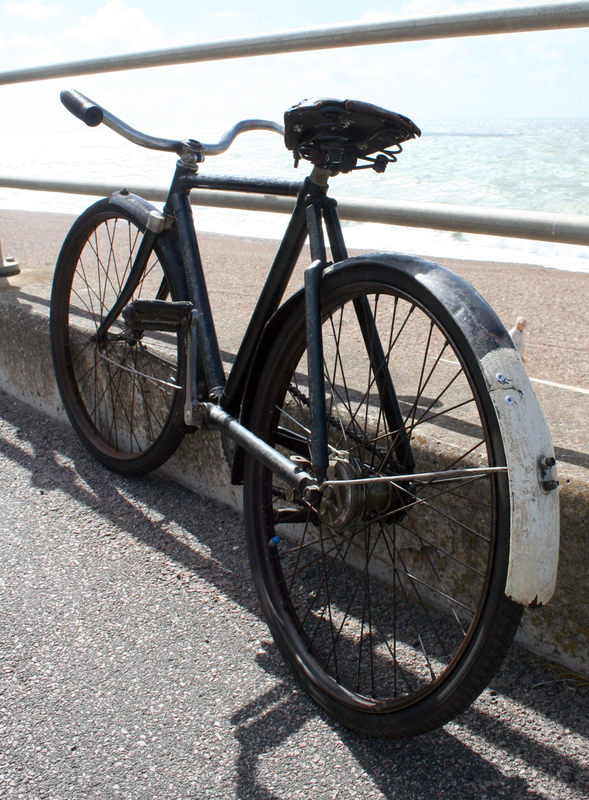 I bought this rare early BSA Boy’s Bicycle from Ron. 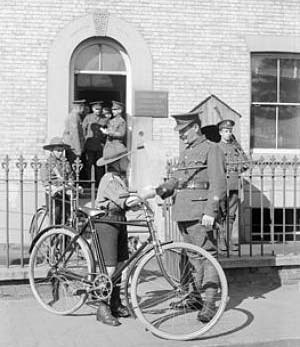 It was his first bicycle, given to him when he was seven years old, in 1945, by his Uncle Reg. 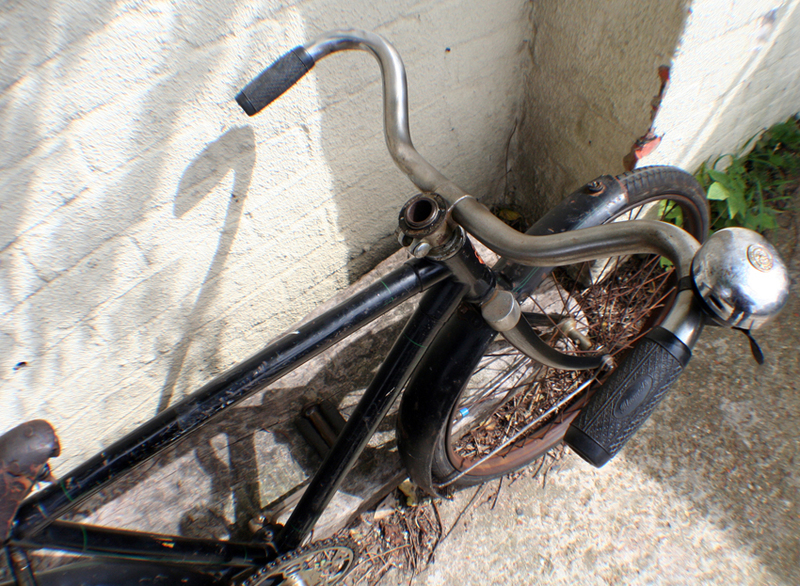 It had been Uncle Reg’s bike too. 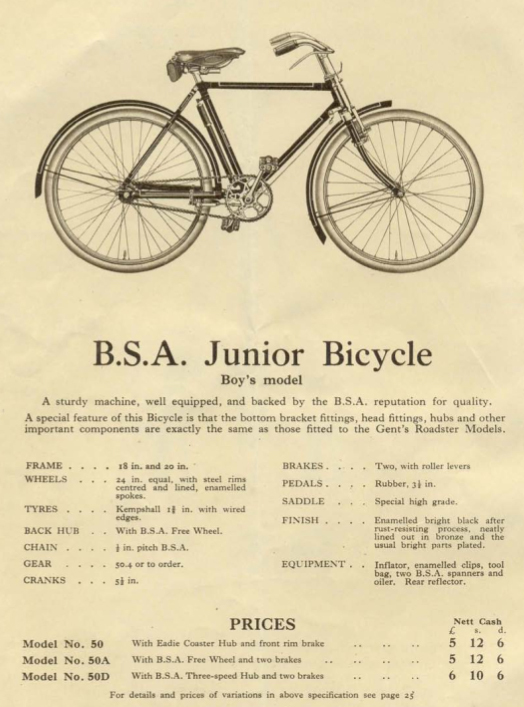 Uncle Reg was born in 1901, so he would have been nine years old when his parents bought this BSA for him. 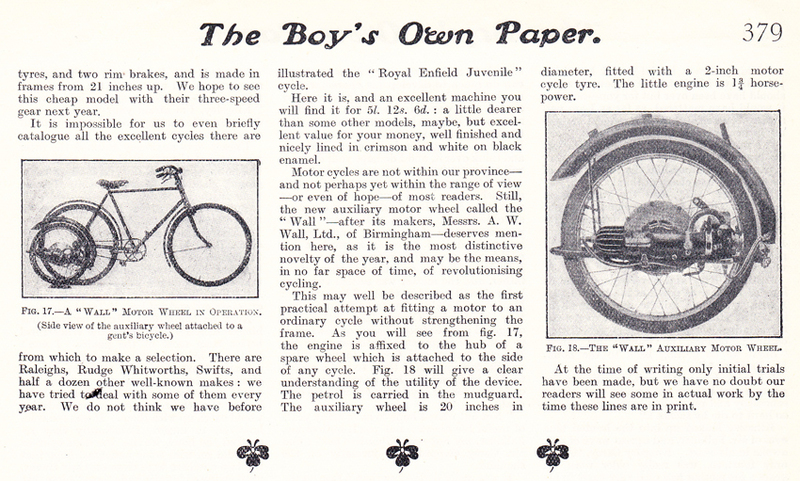 BSA did not make their own bikes until 1910, so a new BSA would have been a very special affair. 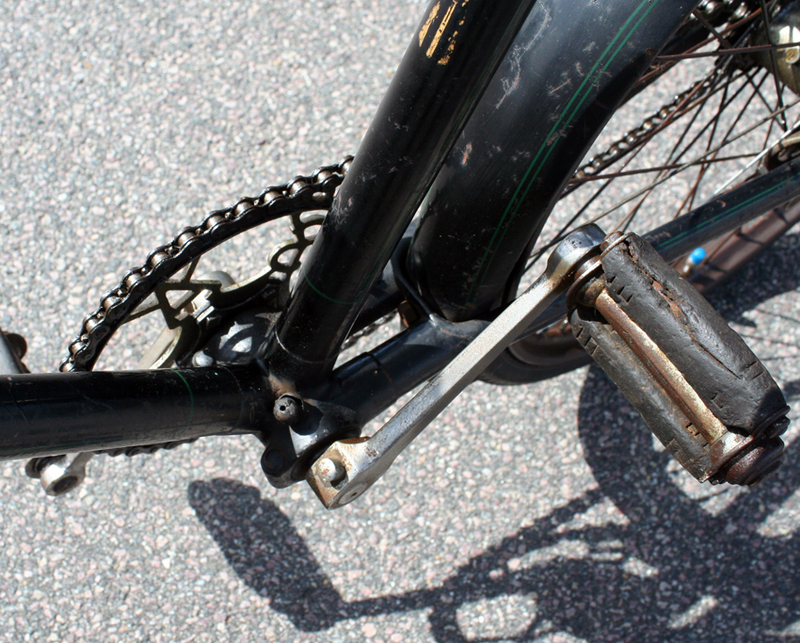 The BSA logo on the headstock shows this is definitely a BSA-made machine, rather than a BSA Fittings Machine. 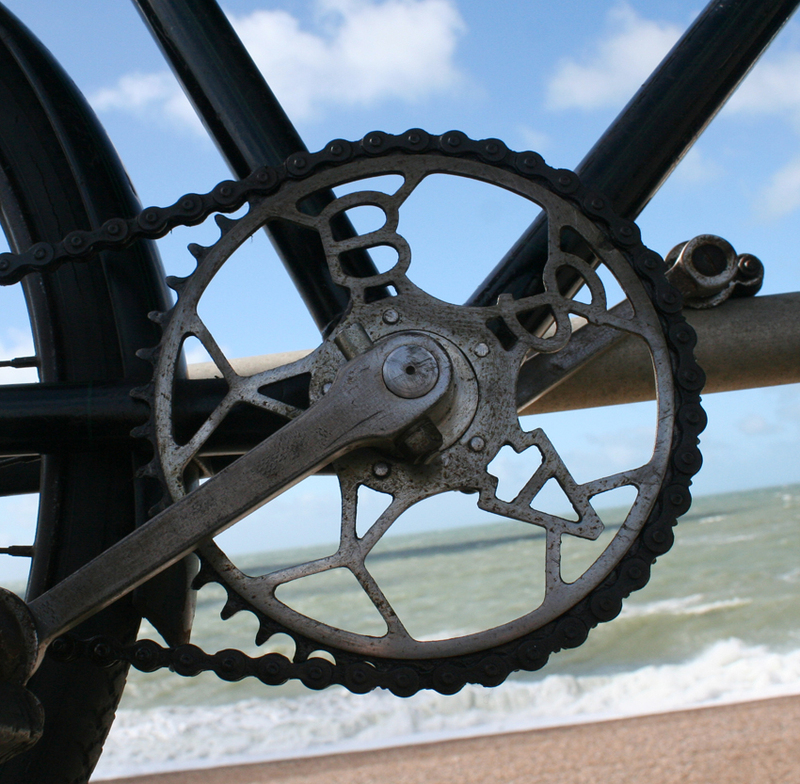 Its chain wheel is the style fitted to BSA’s from 1908 onwards. 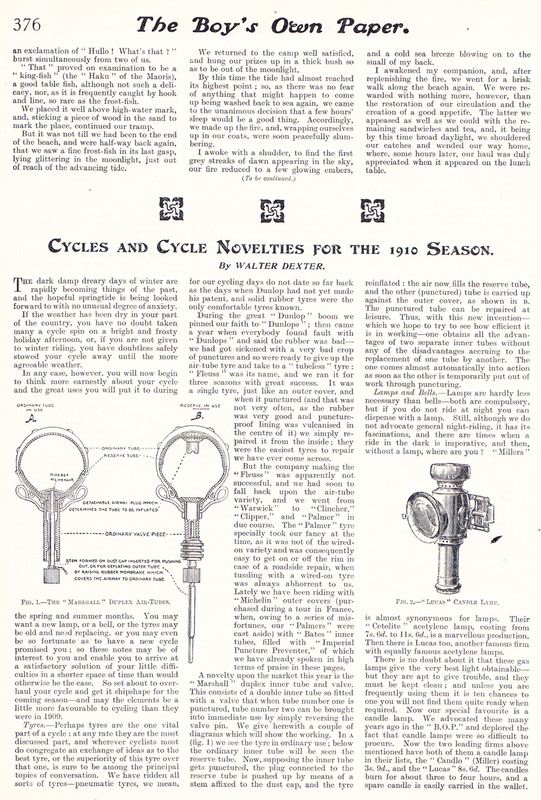 Below, you can read a review of the ‘Cycle Novelties’ available for the 1910 season, including the new BSA, on the market for the first time. 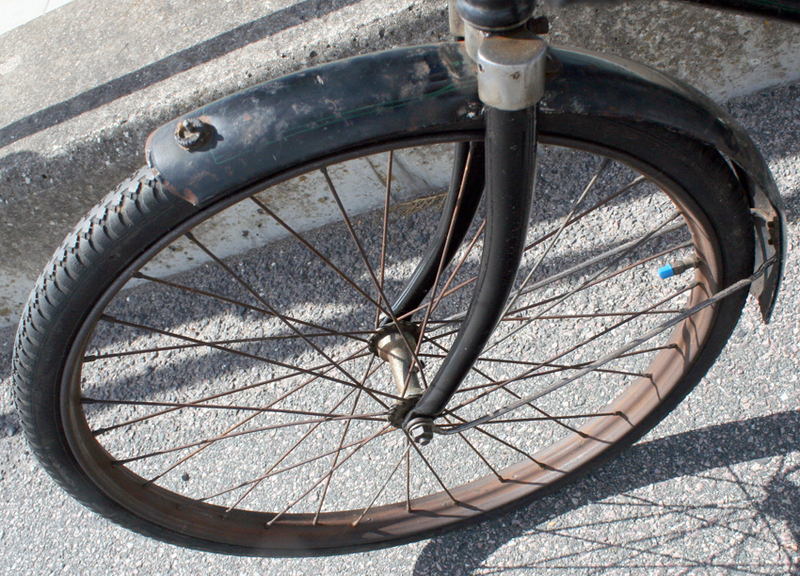 The bike was in a very sorry state when I found it. 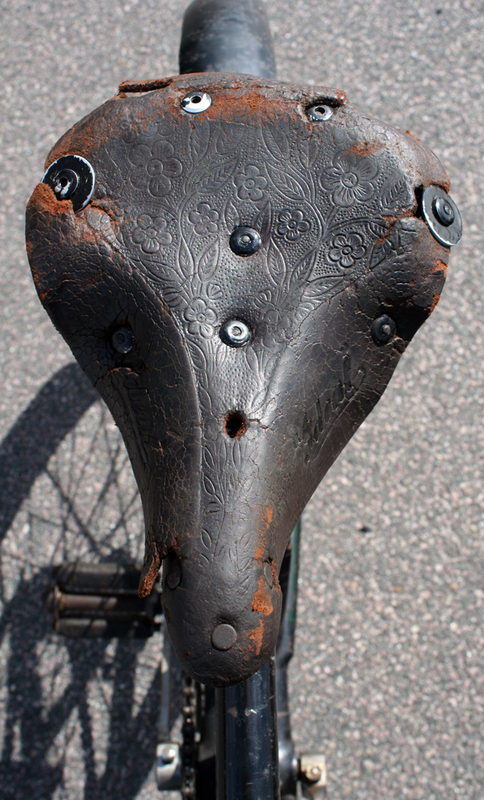 Restoration has started, but will take a while to complete. 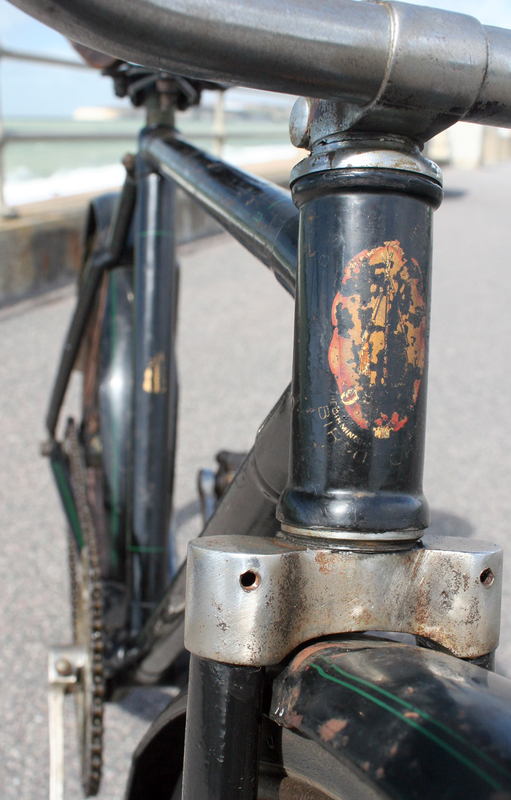 Luckily, the original paintwork is in reasonable condition, with most of its box lining still present. 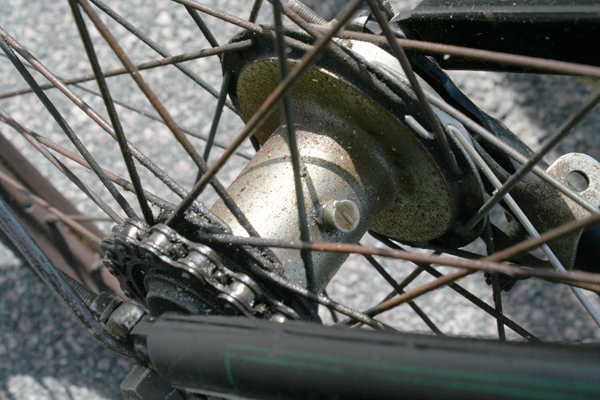 It’s fitted with 20 inch wheels and 20 x 1 3/8 tyres. 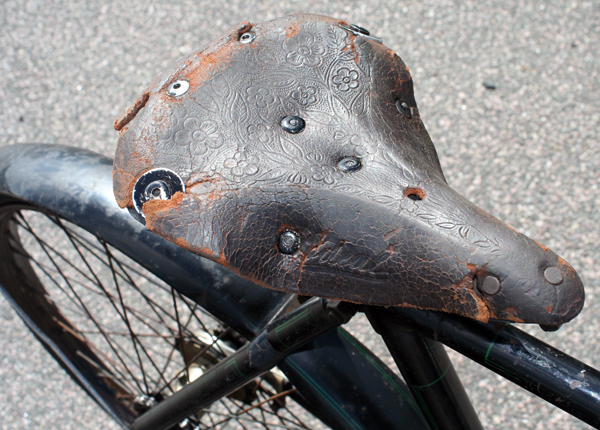 The saddle is an Ideal. It has been patched up as well as possible. The early pattern is very attractive. 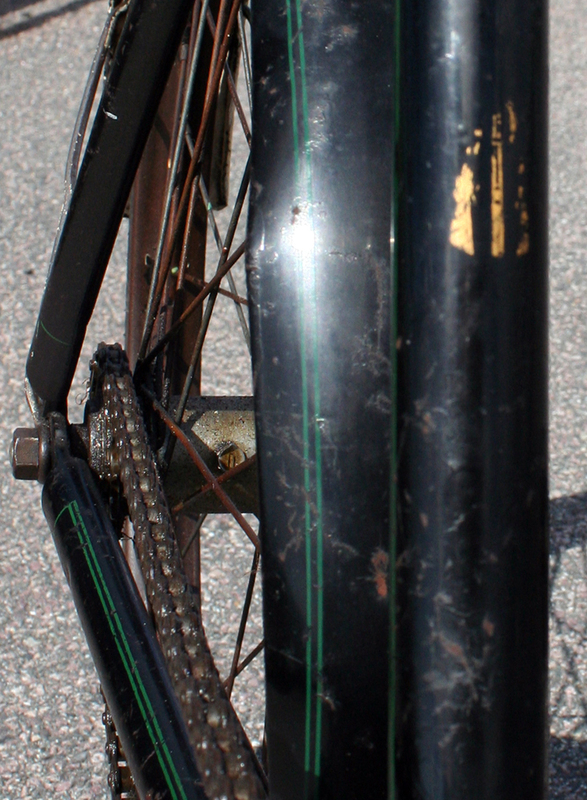 The Piled Arms logo is still visible on the seat tube. 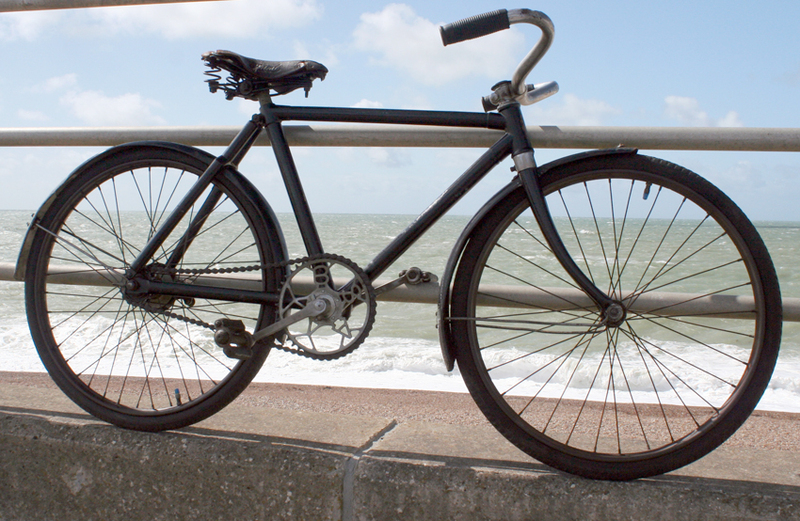 I’ll take more photos of the bike in due course. 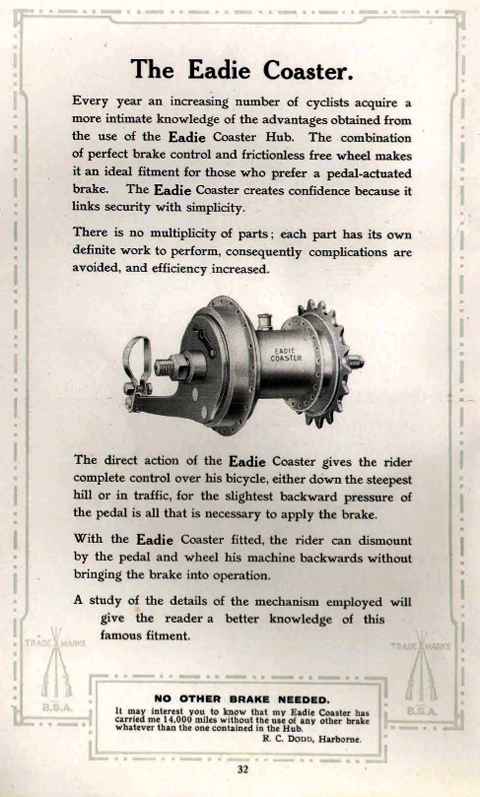 As I admire full size BSA bicycles, I’ve been fascinated by this miniaturized version, complete with an Eadie Coaster hub brake. 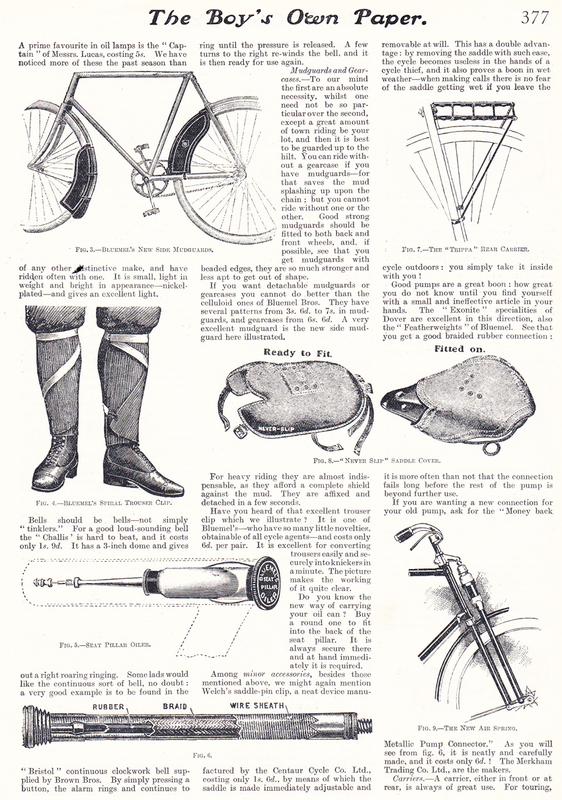 I’m still trying to find a copy of the 1910 BSA catalogue; the only copy I have at the moment is the 1910 BSA Fittings Catalogue, as below, showing the adult version. 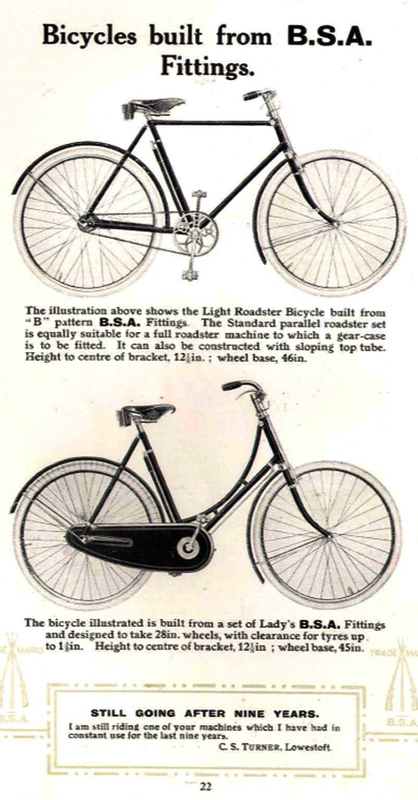 At the moment, the only illustration I have of a BSA Junior Boy’s Bicycle is in the 1928 BSA catalogue, below. 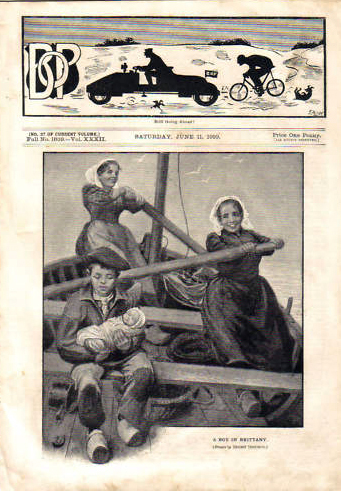 I’ll update this page when I find more information.